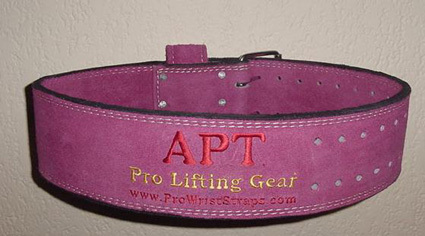 Weight Lifting Powerlifting Belt 10mm X 4"
Special Pattern Color Run, if you like them we'll keep them! 4" Wide and 11mm Thick, Heavy Thick Double Buckle Prongs. 2nd Belt Loop Tuker for the tail end once secured. 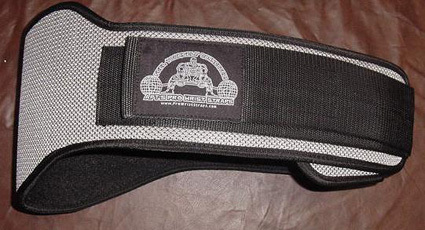 One size fits most, onse belt fits 27" to 44" belt size. Own a cool looking belt that NOBODY else has!!! ONE SIZE FITS Most, holes go from 29" to 43"
2nd Adjustable Slide loop tucker!! Grow Big, Grow small, keep the same belt! Sized from Sm through XXXL 22" to 49"
11 double holes for adjustment to fit just right!! Blue Suede PRIEMIUM GRADE LEATHER. when arching while doing bench presses. 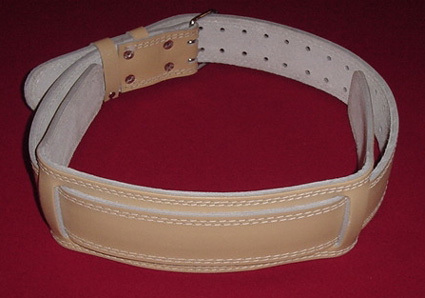 single thick prong buckle and Anti "Belly Pinching" leather flap. 4 rows of thick stitching to hold it all together. APT logo on the back. Double loop belt loop tucker for any extra belt length. Great Deep Dark Purple for Guys and Gals, this is not a light "Female Purple"
Dark Purple Suede is on BOTH sides, SUPER SHARP BELT!!! ONE SIZE FITS Most, holes go from 27" to 43"
17 double holes for adjustment to fit just right!! Sure is hard to find PINK belts ladies, we have them now!! 200 belts ready to be worn and shown off!!! PINK Suede is on BOTH sides, SUPER SHARP BELT!!! 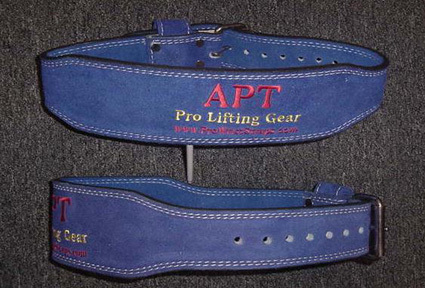 ONE SIZE FITS Most ladies holes go from 24" to 39"
Grow Big, Grow small, keep the same belt!!!! Blue Suede is on BOTH sides, SUPER SHARP BELT!!! 19 double holes for adjustment to fit just right!! 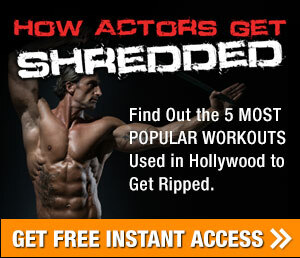 Fits 38-45 inch waist for super lifting! natural high grade leather for max strenth & comfort. 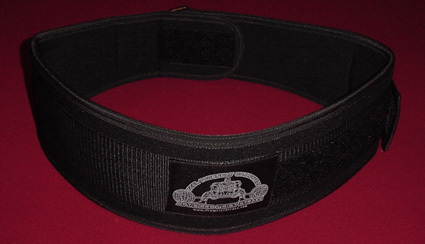 A belt supports the back differently than a back brace, so you shouldn't confuse the two. When you are doing a normal weight lifting exercise, such as the squat, wearing a belt not only reduces the pressure on the lower back, but it also helps to reduce compression on the spinal discs by as much as 50%. 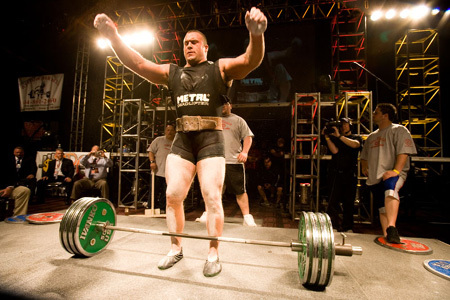 There are two main reasons for wearing a belt when weight lifting. 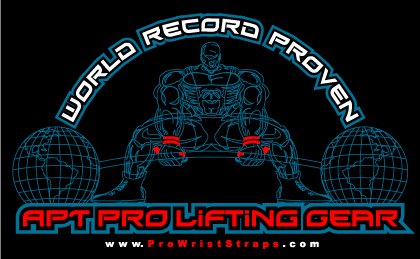 They are designed to reduce the pressure on the spine and to prevent hyperextension when you are doing overhead lifts. It does this by compressing the contents of the abdominal cavity. 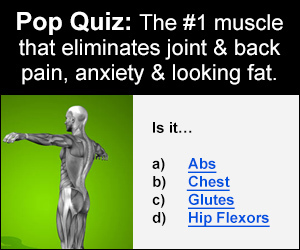 Increasing the pressure on the abdomen provides more support for the bones in the lower back. The belt must be worn tight in order to be effective. 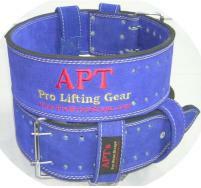 However, a tight belt can raise blood pressure, so belts should only be worn when performing lifts where the weight is supported by the back and in any exercises that could cause the back to hyperextend. 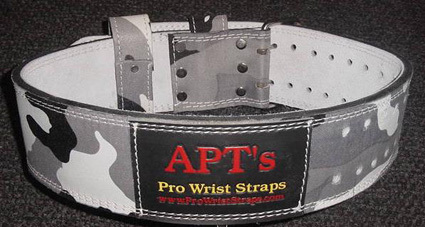 There are different types of belts and all are not suited for the same purpose. A 4 inch belt is one that most people use. It is good for lifting up to 500 pounds. 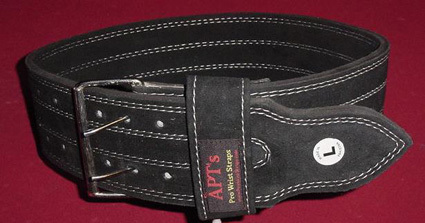 A belt that is a full 6 inches in the back, tapers to 3 inches on the sides and then widens to 4 inches in front is best for taller individuals. 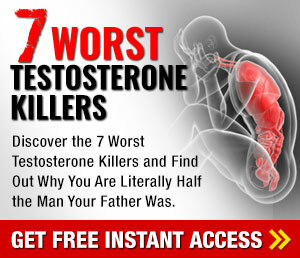 It provides excellent abdominal coverage. 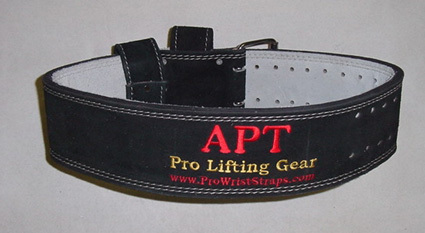 A power lifting belt is built with reinforced neoprene. This makes it more durable and stronger. 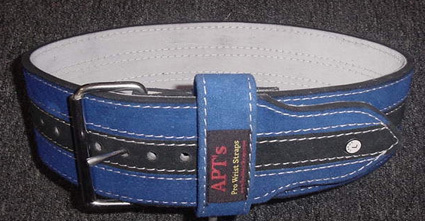 This belt has a stainless steel buckle so that it is an exact fit. 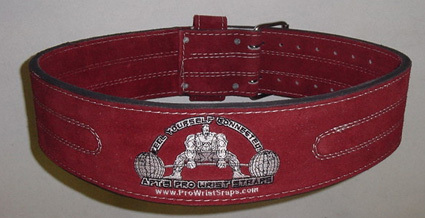 You can also have a leather power lifting belt. 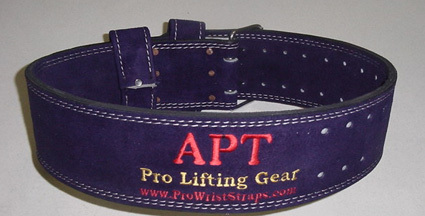 When you decide that you need a belt to give you support when lifting weights, you need to check the belt to make sure you have the right support.